Whisky fueled books: How old is Science Fiction? How old is Science Fiction? Growing up in the seventies I received my first taster of Science fiction from comic strips, such as “Dan Dare” and watching mainly the BBC. On a weekday evening BBC2 would show the original Star Trek series and also Dr Who. Later on as the evening got later there were those old black and white films such as “The day the Earth stood still” and “The Blob.” Spotting Science fiction was easy, it was always about going into space or alien invasions and as a small child it was great. As I grew older I realised there was more to Science fiction though, alternate histories leading to different futures, inventions and science that change how the future plays out and even time travel. Like humanity the genre evolves and with a life born of imagination it never stood still as sub-genres shoot off in different directions. The science fiction of the 20th century already had a rich history, spurred on no doubt by the space race and moon landings. “Star Wars” hit the big screen, followed by “Alien” and a host of other big and small budget films. Television has had so many great shows from the “Outer limits” through to “Firefly”, some remembered for their greatness while other sank and disappeared. Yet always there were the authors, the story tellers who push the field forward with the power of their imagination. The question though is where did it all really start, can the first ever Science Fiction book be pin pointed? 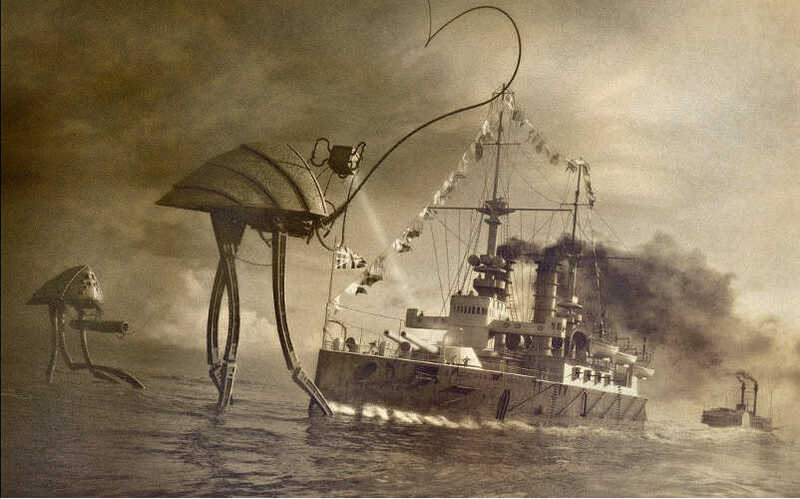 “The War of the Worlds” by H.G. Wells is an early contender, Victorian England invaded by Martians. When it comes to the Earth being invaded this is still probably the best book there is. Released in 1898 the book became a popular hit in a world coming to terms with new and wonderful powered transport, the telegraph that sent messages over vast distances and of course electricity. 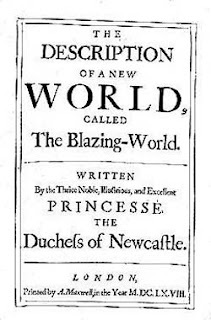 Wells wasn’t the only author taking advantage of the wonders of the modern world. Jules Verne wrote “Journey to the Centre of the Earth” and “Twenty Thousand Leagues Under the Sea” amongst others. Both are classed as Science fiction and with H.G. Wells and another author Hugo Gernsback, who is remembered for publishing the first Science Fiction magazine, they are referred to by some as "The Fathers of Science Fiction"
So is this the start that I’m looking for? Well there are those who say that Jules Verne’s “From the Earth to the Moon”, is a retelling of "The Unparalleled Adventure of One Hans Pfaall" a short story by Edgar Allan Poe, published way back in 1835. Poe wasn’t alone in his writing of what we can class as science fiction as others also push forward Mary Shelly’s horror masterpiece “Frankenstein” as also falling into the Science Fiction stable. Published in 1818 she followed it up later in 1826 with “The Last Man” an apocalyptic story of a future world that has been ravaged by a plague. Now I think those books throw out the claim of Wells, Verne and Gernsback as being the “Fathers of Science Fiction” and place Shelly as the “Mother” with Poe doing a walk on appearance. 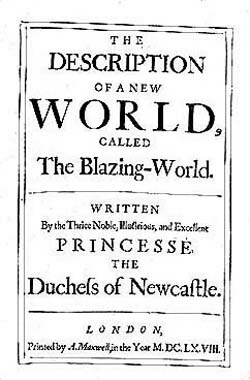 Yet Shelly isn’t the starting point either, the Duchess of Newcastle, Margaret Cavendish wrote a story better known as the “Blazing World” way back in 1666. This is a romantic adventure tale but one that would sit firmly into science fiction camp. The book influenced Alan Moore’s “The League of Extraordinary Gentlemen” where the Blazing World makes another appearance, a tip of the hat to the Duchess? Now here I think we have a first, yet maybe for science fiction in English Literature and the trail goes further back. As you head back through history more stories pop their heads up. 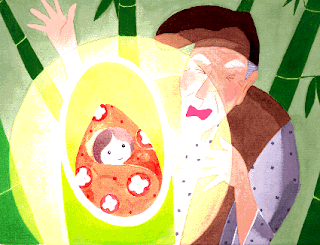 The Tale of the Bamboo Cutter is a 10th century Japanese folktale about the life of a mysterious girl called Kaguya-hime, who was discovered as a baby inside the stalk of a glowing bamboo plant. She is said to be from "The Capital of the Moon" so a visitor from another world found in a glowing ‘ship’ gives it a head start on Superman and it should take a seat at the sci-fi table. In fact science fiction takes us all the way back into the mythology of mankind the world over. Ancient Indian myths speak of flying machines and weapons that could destroy entire cities. The ancient epic Gilgamesh from 2000BCE Mesopotania, the first recorded text of literature is cited by some as science fiction and if you look at the many ancient tales of the flood then you have apocalyptic science fiction right there. The simple fact is science fiction has been around as long as people have told stories, people have wondered what the future world would be like and wondered what lies out in the night sky amongst the stars. The simple truth is that despite many ‘serious’ book people looking down at the genre of science fiction it is the oldest form of literature there is. It can be traced back to every creation myth and stories in the oldest religious texts, the first writers of science fiction wrote the stories of the Gods, of strange machines and other worlds with power and technology that would appear as magic and divine. Science fiction isn’t just some genre of writing and storytelling but it is the original and oldest form of storytelling.